Bluno Beetle - The smallest Arduino Board is another milestone in wearable electronics device area based arduino uno, which makes DIY users have more options in the project design. It is fully compatible with Bluno in instructions and procedures, supporting Bluetooth HID and ibeacon modes. And it not only supports USB programming, but also wireless programming method. With the V shaped gilded I/O interface, it is convenient to screw conductor wire on it, which could a good choice in the wearable market. In this section, you can use the BLUNO Beetle to connect with the Android phone or iPhone .The Step by Step tutorial of the BLUNO Beetle is almost the same with the Bluno. 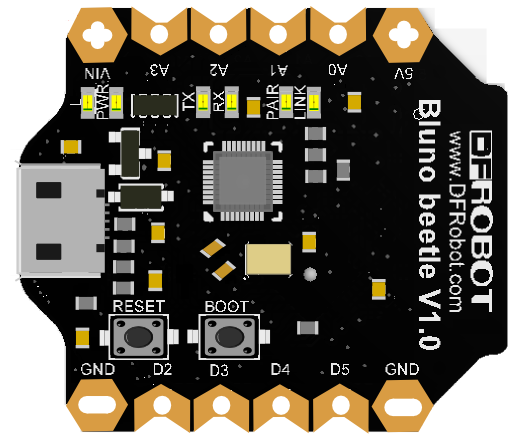 the Bluno Beetle is almost the same with the Bluno.How to Wireless Programming through BLE. 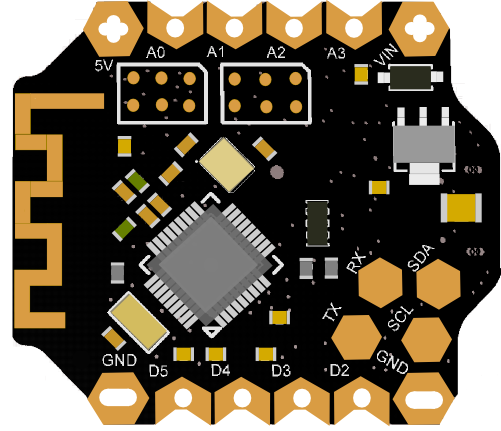 There are three revolutionary BLE firmware versions now, maybe it will be more. For the reason of unified management, we will put all BLE AT command on the BLUNO wiki page Configure the BLE through AT command. It is better to update the newest firmware for the better experience. As Bluno Beetle is using CC2540 chip, the method of the updating is very close to BLUNO. Please choose "Bluno" firmware. Or it won't work. 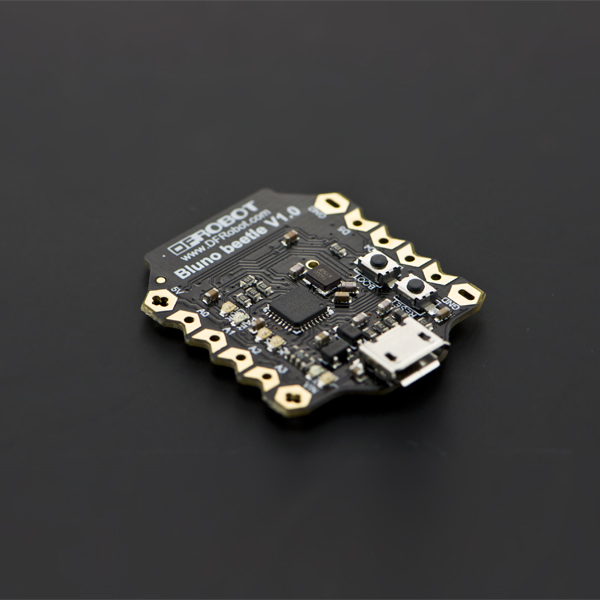 Get it from Beetle BLE - The smallest Arduino bluetooth 4.0 or DFRobot Distributor.